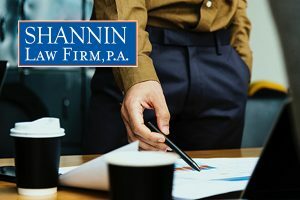 Attorney Fee Litigation - Shannin Law Firm, P.A. A frequent matter requiring resolution before Florida’s state and federal courts involves the issue of attorney’s fees. Florida law contains numerous statutes providing what is known as a “fee shifting” provision, whereby a party prevailing in a law suit may be entitled to recovery of fees from the opposing party. Attorney Nick Shannin has provided instruction on attorney’s fees to fellow Bar members on several occasions, as well as written articles concerning matters related to the recovery of attorney’s fees. His knowledge regarding the potential to recover attorney’s fees will be put to use for all applicable cases for clients and co-counsel of the Shannin Law Firm. Moreover, the recovery of attorney’s fees is traditionally contingent upon provision of expert testimony as to whether the attorney’s fee sought is reasonable and appropriate. Mr. Shannin is available to serve as a fee expert and has done so in over a dozen different state and federal jurisdictions. His testimony as a fee expert has been directly cited by a federal judge, who stated that “[t]he Court agrees with Mr. Shannin’s assessment and concludes that the hourly rates for the attorney are reasonable….” B-K Cypress Log Houses, Inc. v. Auto-Owners Ins. Co., 2011 WL 6151507, *2 (N.D. Fla., Nov. 2011). Please contact the Shannin Law Firm to discuss your fee-related litigation.